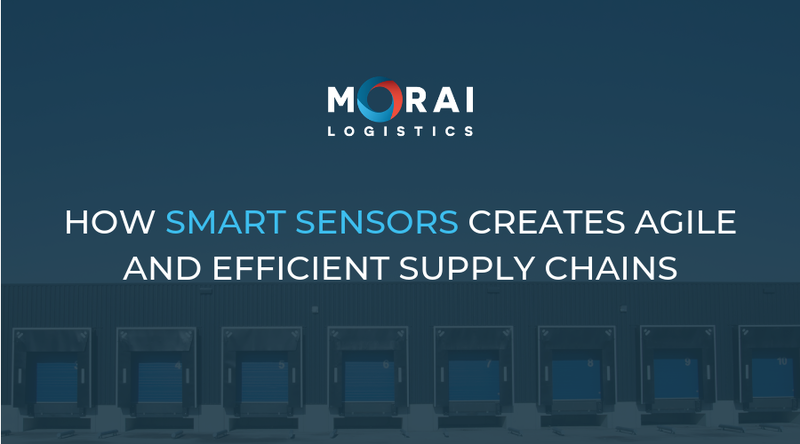 How Smart Sensors Create Agile and Efficient Supply Chains | Morai Logistics Inc.
With 43% of supply chains using smart sensors, the industry must continue to integrate IoT tools to ensure efficiency and agility. Last week, Morai Logistics presented the benefits of implementing smart manufacturing into supply chains. The integration of technology into factory level operations, ‘helps to create opportunities that improve efficiencies, productivity and operations on the ground floor’. By smartening up manufacturing, supply chains can ensure a high level of visibility across the shipment lifecycle. 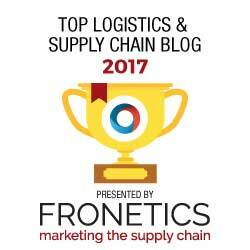 In addition, there is less reliance on manual shipment processes and more focus on automation. If we trace smart manufacturing back to its root technology, we will find the Internet of Things (IoT). Industry experts have been integrating IoT theories and technologies into a variety of ‘machine to machine (M2M) communication’. Smart sensors, or instance is a new technology that is ‘supporting supply chain innovation and the smart factory’. The global market share of smart sensors will grow to USD $21.5 billion by this year and USD $39 billion by 2022. Their advanced ability to uncover insightful information from data position smart sensors as a valuable technology tool to supply chains. In fact, 83% of supply chain leaders believe sensors, robotics and inventory optimization tools, are beneficial for competitive differentiation. This week Morai Logistics will discuss how IoT technologies such as smart sensors, help the supply chain and logistics industry become more efficient and agile. It was forecasted that by this year, the global IoT market will generate over USD $1.7 trillion. Statistic also show that the number of connected devices will be 20.35 billion. The Internet and technology continue to create opportunities for greater connection and communication. In order for supply chains to keep up with demand, supply chains must adopt and implement these tools. There are many factors to consider when developing a comprehensive smart supply chain. The advancement toward smart manufacturing helps the industry develop efficiencies in operations and productivity. Furthermore, the use of smart technologies and tools is a huge part of smartening up the journey of products throughout the shipment life cycle. Smart sensors are advanced platforms with onboard technologies such as microprocessors, storage, diagnostics, and connectivity tools that transform traditional feedback signals into true digital insights. 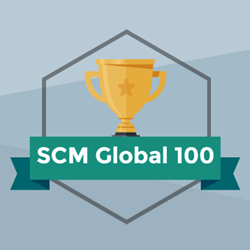 It’s an innovative way of extracting data to enable supply chains to make smarter decisions. 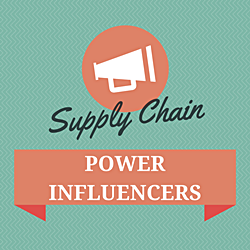 Statistics show that 43% of supply chain leaders stated their companies ‘use sensor technology’. Furthermore, experts say that smart sensors enable ‘always-on supply chains’. By integrating smart technologies such as sensors, supply chains can benefit in many ways. Smart sensors aid in collecting data and using it to help organizations with improved decision making. Furthermore, this enables management to reduce certain interferences that may include ‘missed handoffs, cold chain exceptions or theft’. The benefit of integrating smart sensors also includes ‘informed scenario-based contingency planning’. In addition, supply chains can improve their agility, ensure customer satisfaction and dodge unnecessary costs.